Back in college, I majored in U.S. History. I was (and still am) fascinated by the culturally, economic, and political forces that caused certain monumental events to occur in our society. Historians (or history geeks like me) often look for connections between past and present, and we like to do the same at Marin Humane, too. Many humane societies in the late 1890s and early 1900s were organized by fearless women in order to prevent cruelty to animals, especially the horses being used for transportation. Marin Humane is no exception. Our advocacy and courageous compassion for all animals is rooted in the work of our founder, Ethel H. Tompkins. And the following historical highlights (during her tenure as leader and after) show how Marin Humane has always worked to create a humane world for every animal! Born in San Anselmo and schooled in New York City, Ethel H. Tompkins put her passion for the welfare of animals and humane education into action when she returned to Marin. On more than one occasion, she blocked roads to force livestock haulers to provide care to the cows being trucked through Marin to the Central Valley. 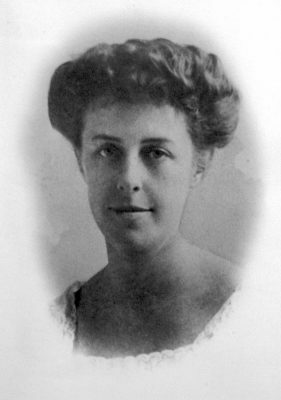 On December 14, 1907, Ms. Tompkins was among 16 determined people who met in a law office in Sausalito and formed the Marin County Humane Society. The first offices were in the Nevada Stables on Lincoln Avenue in San Rafael. Twenty years later, they moved to an old blacksmith shop on Third Street. She wrote, “When we finally could afford to pay $15 a month for the abandoned and dilapidated shop … we took a lease but had no money to put it in repair.” Since there was limited space for housing the animals, Ms. Tompkins also built cages and kennels in her San Anselmo home. Dr. Rydberg, a veterinarian, was appointed the first Humane Officer with an annual salary of $150. Ms. Tompkins oversaw the renovation and expansion of the shelter, adding an animal hospital and covered kennels. During World War II, the fledgling organization struggled with shortages of goods and labor. It was impossible to purchase tires or a new animal ambulance, but Ms. Tompkins remained undaunted. 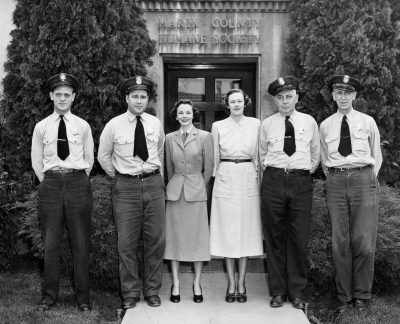 She and her friends worked tirelessly during the years the men were called to fight the war. They even created emergency plans for animals in case of air raids or evacuations. In 1946, Marin Humane decided to take on animal services for the cities and County of Marin. According to the centennial book Making Tracks, “the decision to accept responsibility for animal control was one that the Society’s Board made solely in the animals’ interest, despite dissenters who felt that a humane organization should avoid the taint of “poundkeeping” (not a popular or well-regarded undertaking at the time).” Nowadays, there is a more formal contract negotiation process with a committee representing the cities and the county (through a Joint Powers Agency or JPA), to provide animal services 365 days per year to the citizens and all animals, including wildlife, in the county. Ms. Tompkins understood the value of education. What began in 1913 as a Humane Essay Contest and periodic classroom visits by Ms. Tompkins herself has developed into our humane education program. Following her lead, Marin Humane’s classroom visits, shelter tours, and community outreach programs educate the next generation about the importance of animal welfare. When Ms. Tompkins resigned in 1957, there was no question she had built a legacy! The Board of Directors then hired Mel Morse as its first Executive Director (who authored a book in 1968, Ordeal of the Animals, and, when he left Marin 15 years later, went on to lead the Humane Society of the United States). In 1968, Marin Humane moved to and the current space in Novato. The space is considered a campus today, due to all the activities and learning that occur on the site. The new complex was dedicated on November 16, 1968. Sculptor Beniamino Bufano donated a black granite sculpture of a mother bear and her cubs, and it still graces the main entry. Looking to prevent more unwanted litters of puppies and kittens from being born, Marin Humane took a bold and controversial step in opening a Spay and Neuter Clinic to the public in 1973. It was one of the first in California to provide ongoing, donor-subsidized access to affordable sterilization surgery for both shelter cats and dogs and privately-owned pets. The clinic is supported by proceeds from the Marin Humane Thrift Shop in San Anselmo, which opened in 1961 and is operated by Auxiliary volunteers (the Women’s Auxiliary was founded in 1940). The work of the clinic has had a powerful impact. In 1972, Marin Humane was caring for more than 15,000 lost, abandoned, or injured dogs and cats on an annual basis. Just five years later, with mandatory sterilization of adoption animals, community education, and outside veterinary cooperation, the annual shelter animal population fell to 11,000. In the 1990s, Marin Humane’s waning animal population stabilized at 7,000. Today, the number of homeless pets passing through the shelter has been reduced by almost half. Marin Humane wanted to do more than just run an animal shelter and public spay/neuter clinic. The organization recognized the importance of supporting pet guardians in understanding how to be better pet parents, and they wanted to advocate for all animals – not just dogs and cats. 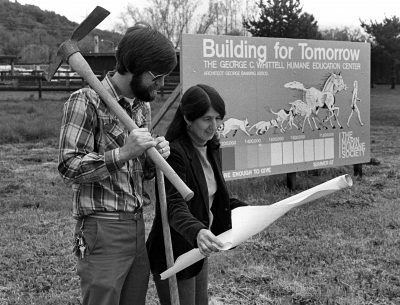 So the George C. Whittell Humane Education Center was built, along with a barn, paddock, animal supply retail space, and humane education classroom. Under Executive Director Diane Allevato’s leadership starting in 1980, more animal protection laws were enacted locally as well as at the state level. Marin Humane took progressive positions, such as having a policy to serve meat-free meals at functions, microchipping all adoption animals, and vigorously opposing circuses that used animals. The creation of programs and services specifically for seniors — like providing free food to their beloved companion animals or other care — was innovative at the time. Empty kennels or cat cages were not a sign that our work was done, either. So, to help overcrowded and underfunded animal shelters, Marin Humane established its Pet Partnership Program (PPP). Transferring animals from other shelters and rescues into our care became a win-win situation. Our space is provided to help more animals, we adopt out more animals, and we help other shelters reduce their rate of euthanasia. Approximately 1,000 animals every year come through our doors through PPP. A special partnership was also formed with Marin Friends of Ferals, a local nonprofit organization, to help promote Trap, Neuter, and Return (TNR) efforts in the county. A special room was built on campus to house feral cats (who are not pet or tame felines). By working with responsible cat colony caregivers and offering TNR resources over the years, we’ve seen a dramatic difference in our own euthanasia numbers. And with generous funding through The Joe Willie Project, starting in 2016, Marin Humane was able to place much older cats with ongoing health issues in adoptive homes, expand our Career Cat program (for feral cats needing a job in barns or local warehouses), and add another cat staff person in our Behavior and Training department. This holistic approach of what a humane society is all about has proven to be impactful – for animals and for humans. Marin Humane knows that teaching kindness and empathy for animals can make for kinder, more compassionate human beings. Every day, we witness the changes that happen in the animals we serve as well as the humans connected to them. Several members of our staff and even a past Humane Teacher of the Year award recipient are Marin Humane Summer Camp alumnus, too! Thanks to the partnerships with Dominican University beginning in 2013, Marin Humane conducts regular pre- and post-class surveys to better evaluate the effectiveness of our humane education programs, specifically in our after school programs and summer camp. The results prove we were right all along: levels of empathy, self-efficacy, and self-esteem increase for the children and young adults participating in one or more of our youth programs. enrichment for the animals in a shelter environment, Marin Humane continues to improve and even remodel its facilities and operations to make life better for the animals entrusted to our care. For example, in 2009 the cat adoption rooms were updated. Communal cat adoption areas were created to give our feline guests more vertical and horizontal space and allow potential adopters to see and greet adoption cats more easily in a quiet and safe area. In 2011, the new dog adoption center was completed, providing more comfortable housing for homeless dogs and a more welcoming environment for potential adopters. 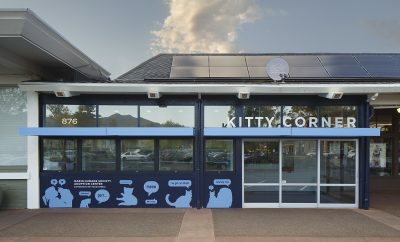 And in 2015, Marin Humane came full circle when opened its first satellite adoption center, Kitty Corner, in San Anselmo, where it all began in 1907. Marin Humane’s growth, leadership, and impact are motivated by the gutsy advocacy of our founder and continue to be inspired by the experienced, dedicated, and compassionate staff, volunteers, and donors of today. Our fun-lovin’ crew helps over 10,000 animals a year (and countless humans, too). As we move forward to the future, the work will continue to evolve but Ethel Tompkins and all our past leaders would still be able to recognize and approve of our mission, vision, values, and strategic goals.